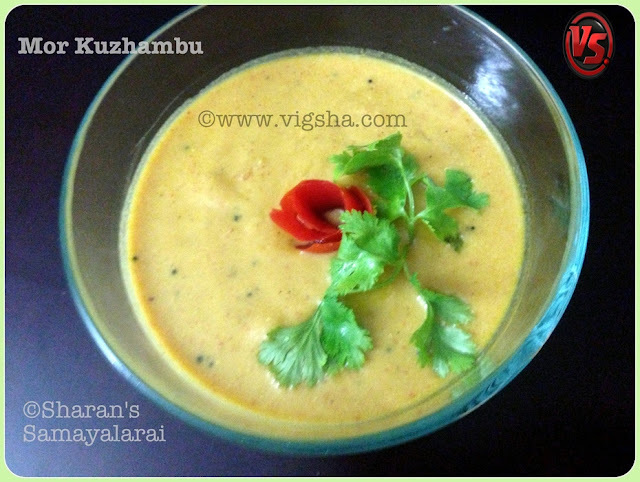 Mor Kuzhambu or South-Indian Yoghurt Curry is a scrumptious curry to have along with the Rice. 1). Make a smooth paste of above ingredients with 2 tablespoon water/curd. Paste should be in thick consistency. 2). Heat oil in a pan, add mustard. When splutters, add curry leaves and tomatoes. 3). Saute until fragrant and crisp, add the grounded mixture. When the curry starts foaming, and bubbles appear, switch off the heat. 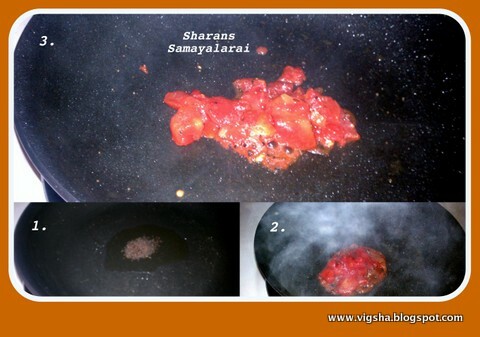 Add more water if the kuzhambu is too thick. This goes well with rice and can be served with a spicy stir-fry. 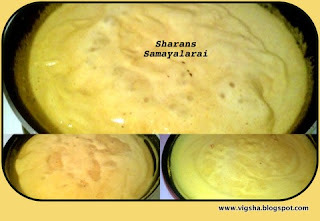 # I used curd (instead of buttermilk) to make this dish because it makes the gravy thicker. 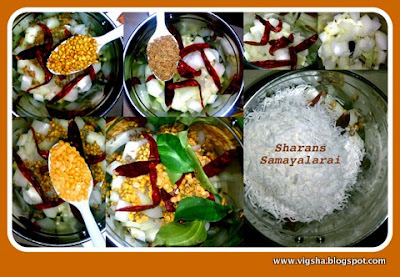 # Lady's finger(Vendakkai or okra or bhindi) or White Pumpkin can be added. # For a lighter version of this dish, use buttermilk instead of yogurt.